Google and the Gortz Store in Germany have preformed a study to understand how to quantify the level of Research Online and Purchase Offline (ROPO), and benchmark the incremental in-store sales against the online sales generated. Need Help? Checkout Green Lotus PPC Management Services! Studies have shown that consumer shopping behavior is evolving, the chart below shows how shopsavvy consumers become when it comes to making purchase decisions! As you see, a significant proportion of consumers research online before buying offline! Relevant Search query triggers the Görtz AdWords Ad without reference to the coupon offer, then a discount coupon for €10 is displayed on the landing page in cities with a significant store network, redeemable on- and offline during the campaign, and for one week after the campaign. 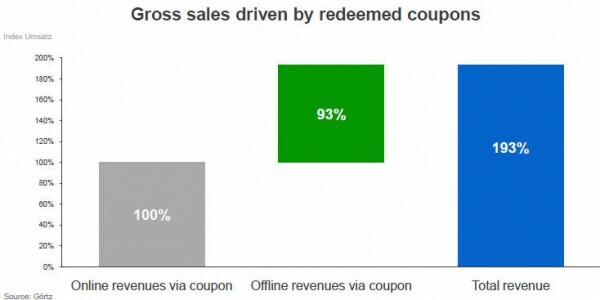 By racking the coupons redeemed both on- and offline, we can compare the offline revenue generated vs. online conversions. Significant ROPO effect: For every 100x coupons redeemed through the online shop, a further 51x coupons were redeemed in-store, following online research by the consumer. The sales revenues derived from consumers who performed ROPO is disproportionately high. For every €1 of sales generated online, another €0.93 of offline revenue is generated. The results show that consumers research apparel products online before purchasing the product offline in a store. Within the final phase of the path to purchase, SEM plays a role in influencing the consumer’s decision to buy through a store. For every 2x customers who buy online via the webshop, there is around 1x additional customer who buys offline through a store where there is a corresponding store network. The ratio of on- and offline revenues between the webshop and the physical stores is almost 1:1. Where multi-channel retailers have the requisite store presence, SEM is a powerful vehicle to drive both multi-channel sales, and generate revenues.